Wise Owl’s ‘Food State’ Vitamin B6 supplement uses a natural carrier to help give optimal absorption & utilisation of the nutrients. It also contains amino acids that assist with the proper absorption of the supplement. Vitamin B6 is a one of the most versatile vitamins and it is involved in more bodily functions than almost any of the other nutrients in the body. Made using whole food nutrients, Wise Owl's 'Food State' Vitamin B6 supplement uses a natural carrier to help give optimal absorption & utilisation of the nutrients. It also contains amino acids that assist with the proper absorption of the supplement. 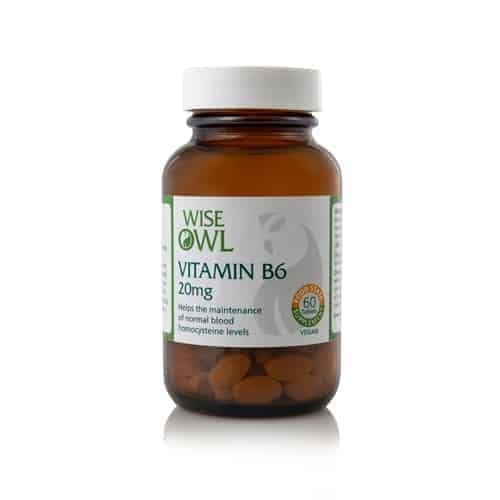 Wise Owl Vitamin B6 has been formulated to help to reduce tiredness & fatigue, support the nervous system, support psychological function, promote healthy red blood formulation, support the immune system & regulate hormonal activity. Vitamin B6 contributes an important role in the functioning of the immune and nervous systems due to its production of red cells and the cells of the immune system. It contributes to the regulation of body fluids through maintaining balances of sodium and potassium. The need for vitamin B6 increases during pregnancy and lactation. Food State vitamin B6 and that found in foods is in the form of Pyridoxal 5 Phosphate, the bioactive and enzymatically converted form of B6. This supplement comprises a food base of ‘lactobacillus bulgaricus’ a native and friendly bacterial inhabitant of the human GI tract. As this bacteria fits into normal metabolic pathways it acts as a natural carrier to helps give optimal absorption and utilisation of the nutrients. 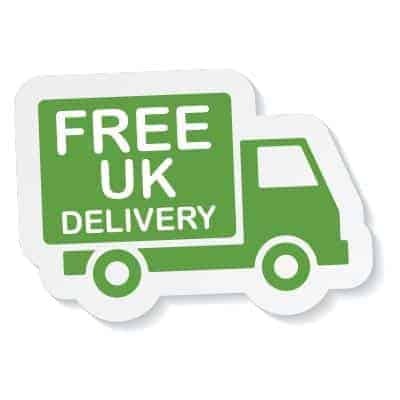 This Food State supplement comprises 20mg of Pyridoxal (Vitamin B6) per tablet. Formation of normal red blood cells. Contribution to normal energy-yielding metabolism. Contribution to normal cysteine synthesis. Contribution to normal homocysteine metabolism. Normal protein and glycogen metabolism. Contribution to normal psychological functions. Contraindications: Long term intakes of more than 10mg of B6 daily may lead to mild tingling and numbness. Non GMO & Free From: live yeast, wheat, gluten, soy, starch, lactose, added sugars, colouring, flavouring & preservatives. Product Ingredients: Lactobacillus bulgaricus providing vitamin B6; magnesium stearate, stearic acid, silicon dioxide; tablet coating: vegetable cellulose. Non Actives: Magnesium stearate, stearic acid, silicon dioxide; tablet coating: vegetable cellulose.